If you’re not convinced, a team lead by scientists from the University of New Mexico have actually spotted the black holes moving relative to one another using the Very Long Baseline Array, a system of ten radio telescopes across the US, with locations in Hawaii and the Caribbean. Not only is it the first direct measurement of galactic centers orbiting each other like this, but it was a challenging calculation to actually do. Other researchers were excited about the observation. “It’s an absolutely beautiful result. This is highly compelling evidence for what would be the first known supermassive black hole visual binary ever observed,” meaning a pair of super massive black holes that can be resolved separately with a light telescope, Grant Tremblay, astrophysicist at Yale and Harvard told Gizmodo. “It’ll be a hugely compelling follow-up target for years to come.” Romani pointed out that studying black hole binaries like these could help us understand how black holes coalesce in the center of large galaxies. Correction: This story previously listed Roger Romani as the lead investigator. It has been updated to better reflect the roles of the researchers on the project. 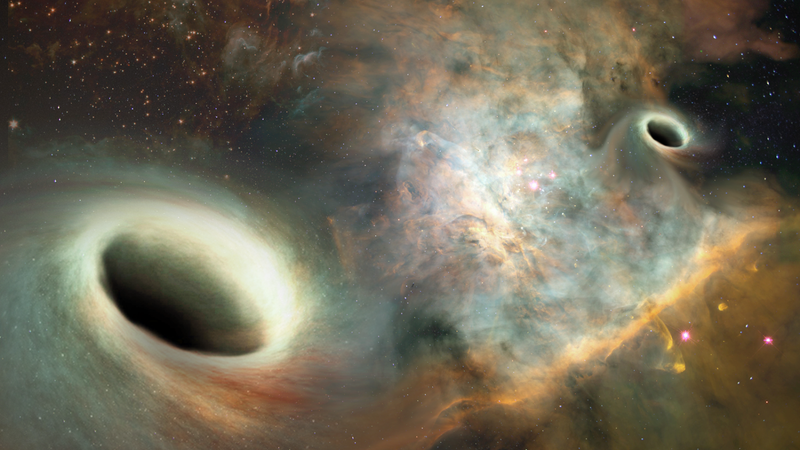 Why the Hell Is This Enormous Black Hole Streaking Across Space?